The company has made special provisions with the Indian Government and various banks to make the transactions as seamless as possible. WhatsApp has been testing its Payments service extensively in India. The company has made special provisions with the Indian Government and various banks to make the transactions as seamless as possible. According to a report by PTI, around 1 million people are testing the new service in India. WhatsApp Payments has been in the testing phase for a few months now. The report suggests that the Payments service will begin in the next few weeks. "Today, almost one million people are testing WhatsApp payments in India. The feedback has been very positive, and people enjoy the convenience of sending money as simple and securely as sending messages," a WhatsApp spokesperson told PTI. The spokesperson goes on to say that the company is working closely with the National Payments Corporation of India and multiple banks to increase the number of digital transactions in India. Considering the reach of the application in India, the payments app is expected to take off quickly. However, there have growing concerns about the security aspect of the feature. Paytm founder Vijay Shekhar Sharma, a vocal critique of WhatsApp Payments, had earlier said WhatsApp is openly colonising our payment system and is customising UPI to their benefit and arm-twisting it for customer implementation. He said a lack of login makes WhatsApp Payments an "open ATM" to everyone and is a security risk. The Reserve Bank of India has taken a few steps to ensure data safety. The central bank has mandated all payment system operators to ensure that data related to payments is stored only in India giving firms six months to comply with it. As far as WhatsApp Payments goes, the ministry of electronics and IT has asked NPCI to check if its payments service conforms with RBI rules. WhatsApp, in its defense, claimed that sensitive user data such as the last 6 digits of a debit card and UPI PIN is not stored at all. However, it admitted to using the infrastructure of Facebook for the service, it asserted that the parent firm does not use payment information for commercial purpose. "Facebook processes UPI transaction data as a service provider for WhatsApp, and does not use WhatsApp payments transaction data for commercial purposes," the spokesperson clarified. How WhatsApp Payment will be different than other e-wallets? So, how is WhatsApp Pay going to be different than other online e-wallets like Paytm, Google Tez, PhonePe, etc, and what advantage does it hold over them? The first obvious advantage is its user base -- WhatsApp has over 200 million users, over 20 times higher than Paytm's daily active users. 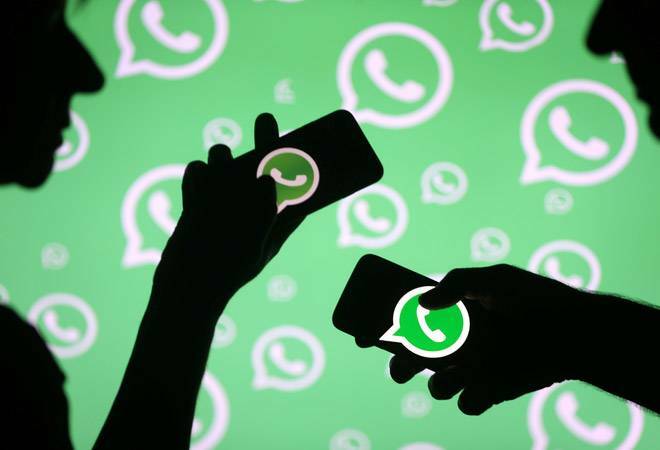 The WhatsApp Pay option was initially launched for its selected users (on beta versions of the app) in February 2018, and it had received positive reviews from its users. "WhatsApp has a great starting point: a monopoly in chat. High engagement makes it a credible competition," Vivek Belgavi, leader for financial technology at PwC India, told Bloomberg. Experts suggest though the WhatsApp Payment option would more or less work on the same principle of sending and receiving payments, its ability to allow users to do it while chatting makes it a natural winner.